Noises can be caused by bearings, a misaligned part, a fraying belt, a loose roller pulley, or a worn motor belt. If you believe it to be a bearing, read our help topic on how to locate bearing noise in our Troubleshooting section. Check the drive system to see if any part is scraping on another part. The belt should be aligned, pullies should be aligned, and the motor fan and the "fins" that move inside the speed sensor are all areas to check. 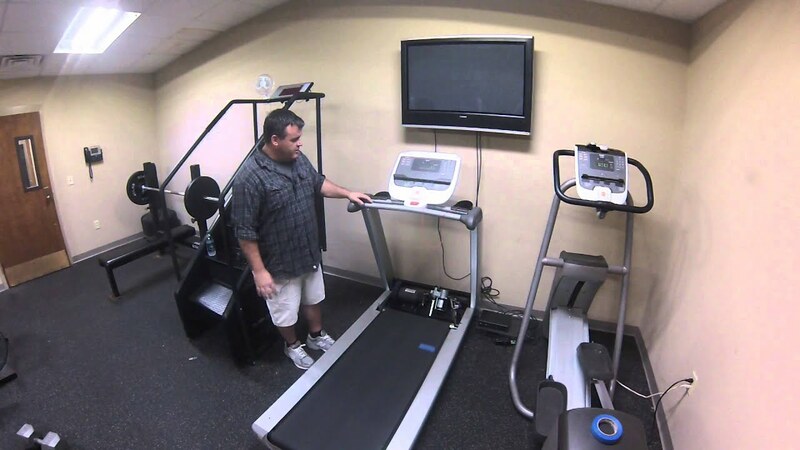 Check the belt guides under the treadmill. If they are too aggressively pushing into the belt, it can cause a whining noise. You can just bend the guides if needed. A screeching noise is normally caused by a worn motor belt or a loose pulley on the front roller. Read out Belt Slipping help topic in our troubleshooting section in order to learn how to spot a loose pulley. If the pulley checks out and the bearings are fine, replace the motor belt. Disconnect the motor belt and turn on the treadmill and listen to the motor. You can get bad brush noise if the motor gets too hot and deforms either the com, brushes, or has a short. If you have bearing noise in one of the rollers or the motors we can either typically repair the part for you or the part will have to be replaced. If it is making a squeaking noise like a mouse, many times this is a motor belt too. Try a bit of automotive fan belt dressing that we sell or you can get at any auto parts store. If the problem persists, replace the motor belt. If you have any questions or need us to walk you through the process, feel free to email us at doc@treadmilldoctor.com or call us at 888-362-1105.